Design and/or analysis of structural support systems for solar projects; may supervise the construction of CSP plants, PV plants, and related structures. 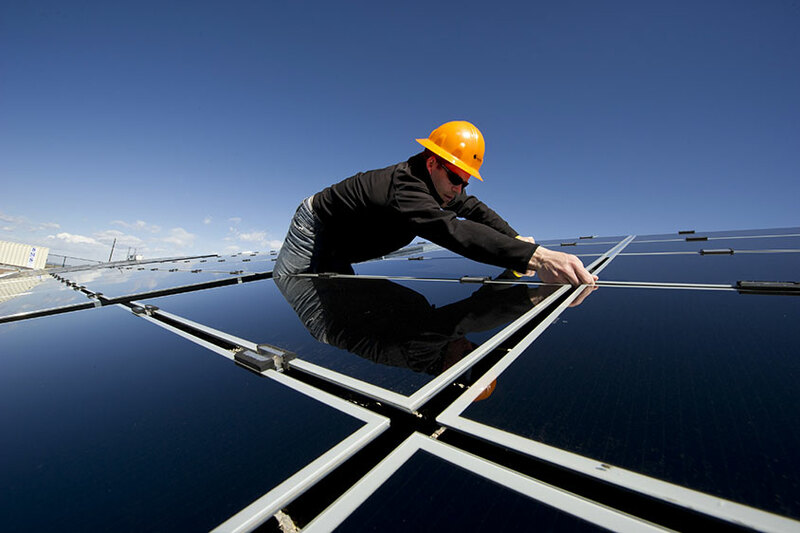 As part of the clean energy economy, civil engineers in the solar industry: Conduct structural analyses for commercial and utility-scale PV power projects. Evaluate structural loads on solar array support structures and buildings resulting from wind, seismic and other sources. Prepare foundation designs for solar arrays and related equipment. Assist project managers by resolving technical issues relating to structural loading. Evaluate array support structures. Provide inspection and troubleshooting in the field Interface with civil works subcontractors and building authorities. Prepare calculations and drawings for permitting and approvals in accordance with IBC and other applicable building codes. Support sales and proposal activities. B.S. in engineering with experience in commercial construction and structural evaluation of buildings is preferred. Entry-level engineers are hired as junior team members and work under the close supervision of senior engineers. Professional Engineer (PE) license and RE credits may be required.